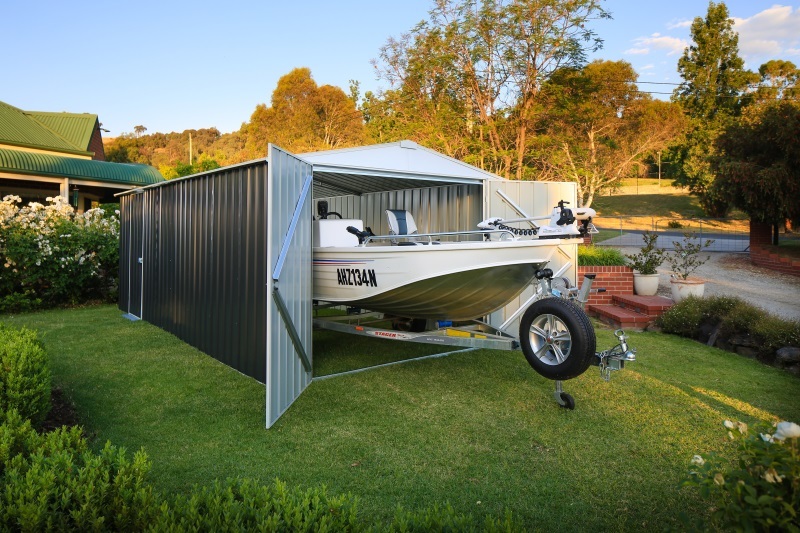 EasyShed can accommodate both big and small needs. We’ve all faced the dilemma of not having enough room in the garage to fit all our must-haves, and not-so must-haves. It can be a daunting affair trying to work out where to store everything, especially when those not-so must-haves start to encroach on the main living space. 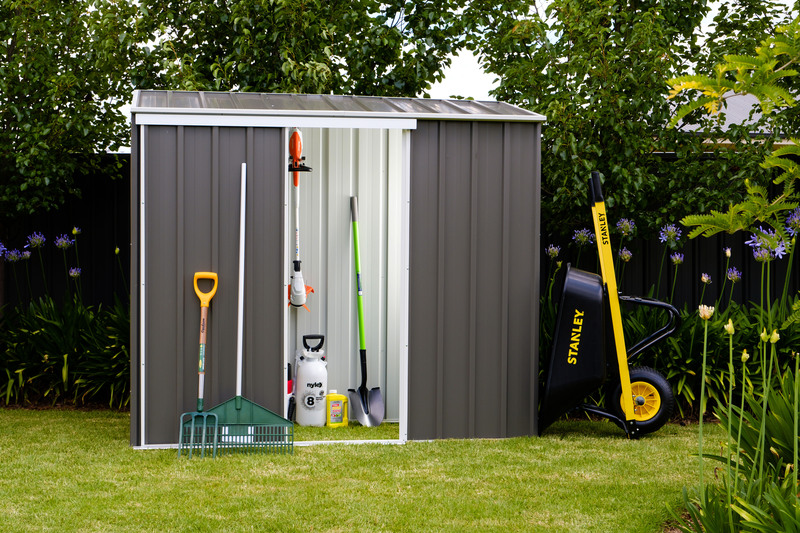 This is where a shed can be a seriously handy bit of kit. Finding the right size and style can be difficult. Buying one that won’t fall over under the pressure of even the slightest gust of wind. 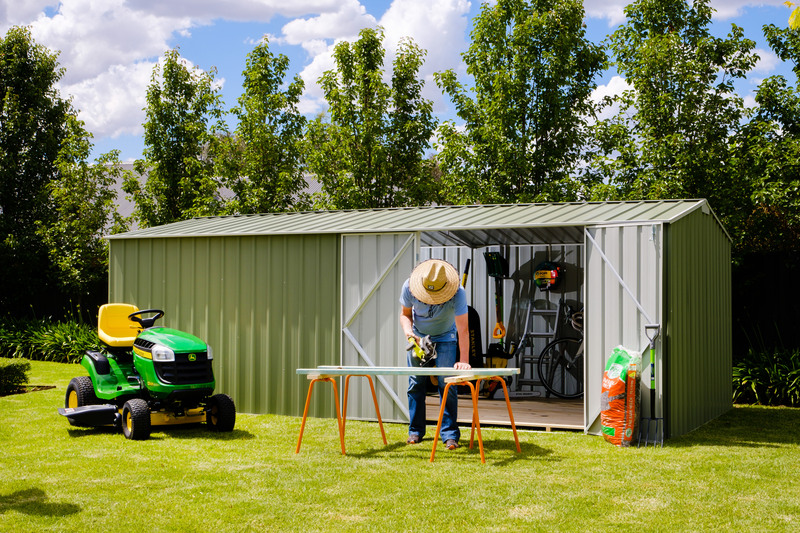 Getting the shed back to your house can be even harder. That’s where EasyShed fits in. EasyShed began way back in 1983 as Durabuilt Products, evolving into EasyShed 10 years ago under the leadership of Craig and Phil Suggate. The original idea behind the company still runs true today, which in its words ‘is to create the ultimate lifestyle in home living for Australians by providing a no-nonsense, high quality, practical storage solution manufactured in Australia by Australians and using Aussie sourced material’. There’s a solution ready to go for all needs. This has now expanded to include a division of fully customised garages and workshops for the homeowner, as well as machinery and hay sheds for the farmer. It isn’t simply about mass-producing sheds and shipping them out on demand though. “In recent years, we have catered to the increasingly time-poor lifestyles of customers, and have created a network of professional shed installers so that our customers have the option of having their shed installed without having to worry about it themselves,” says co-owner EasyShed Phil Suggate. In the larger shed space (garages, workshops, farm sheds, etc.) EasyShed are working on a web-based platform which will enable its customers to build their perfect shed online themselves. Need something bigger than the avearge shed? No worries! “There are challenges around creating a simplified, user-friendly version of what is normally a complex design process reserved for professional draftspeople, but we think we have accomplished this and the go live date is nearing,” says Phil. “We are continually streamlining the process, to make it as seamless and informative as possible,” says Phil. Once an order is placed online, it flows directly to the factory where it is automatically batched with other orders based on its colour. When the correct colour steel is loaded onto the machines, the shed is selected by the machine operator to be manufactured. These machines know exactly how to form and cut the steel at the correct lengths and angles, and the complete shed is automatically packed into a box. This box flows along another conveyor system to have a few other small components added by other machines and finally the lid is glued onto the box and a label placed onto it for shipping. Narrow options such as this one are perfect for storing tools, fishing gear and the like. As soon as the shed is consigned for shipment, customers are sent an email with a shipping code which they can enter into an online tracker to follow the progress of their new shed. Depending on location, shipping to most eastern state metro locations takes 1 to 3 days. Finally, the customer is given a phone call by the freight company to arrange a suitable time to deliver their new shed! If there’s one thing I’ve learned at ManSpace over the years, it’s that not all sheds are used to stash things that have outgrown the house. So I was curious to know if Phil had come across some interesting uses. “Don’t we ever! Their uses are wide and varied,” Phil begins. “We quite often come across some pretty impressive man caves and she sheds, but things get a lot more interesting than that. In a day and age where everything seems to be made in Asia, you can seriously appreciate when the likes of a shed, which has to stand up to some harsh conditions, is built right here in our backyard. Testament to the quality and reputation attained over the years, EasyShed also sells its products throughout North America and Europe. For more info and to check out the range, visit www.easyshed.com.au.